Many parents in Singapore lament that children in our country today cannot enjoy their childhood. The emphasis on academic grades has risen steadily over the 50-odd years of our independence to the point that almost every waking hour of a child or teenager is spent either attending classes (and co-curricular activities) in school, attending extra tutoring classes after school or doing homework assigned by either the school teacher or private tutor. It can seem that intellectual skills, which this essay shall define as the capacity to solve abstract problems and grasp abstract concepts such as those in advanced calculus, take precedence over every other measure of a person including practical ability – which I shall define as the capacity to solve problems in day-to-day life such as fixing a leaky tap, managing a team of workers or investing in the stock market. To clarify, intellectual skills are the focus of academic studies, and thus the country’s focus on grades are a good index of the importance that it places on intellectual skills. In spite of this, it is my contention that it is to a great extent true that practical competence is just as high a priority as intellectual skills in Singapore. Opponents to my claim would point to the obsession with grades and not only the doors that impressive academic credentials open for a person, but also the tremendous social prestige that they confer. Scoring straight A’s at the A-level exams or graduating with first class honours from a highly regarded university adds considerably to a person’s social status, and even that of his parents. Little wonder that parents are often heard comparing their children’s grades, schools and so on. Studies also consistently show that the percentage of graduates of the highly regarded state universities such as the National University of Singapore who secure a full-time job within six months after graduation is much higher than those from less well-regarded institutions – about 80 percent versus 60 percent in a recent case. The traditional model of marquee government scholarships being granted to top scorers in examinations, who then typically go on to occupy top jobs in public service and government-linked corporations (GLCs), serves to cement the position of those who hold a view counter to my own. A notable feature of Singapore is the heavy involvement of government in business even while promoting free enterprise – a curious hybrid of free-market capitalism and socialism. This gives rise to the phenomenon of “Singapore Inc”, the idea of country as corporation with the government owning some of the largest companies such as Keppel Corporation and ST Engineering. The boards of directors at these GLCs include many former government scholars such as Lee Seow Hiang of Changi Airports International. Sharpening the perception that intellectual or academic talent outweighs practical ability is the impression held by many that some of these scholars, despite their sterling academic record, do not perform well on the job. Desmond Kuek, a scholar and former military general, oversaw the country’s rail operator SMRT Corp while it suffered a spike in breakdowns, a tunnel flooding and even a collision between two trains. Ng Yat Chung, another scholar and former general, was CEO of state-owned shipping liner Neptune Orient Lines, which racked up over a billion Singapore dollars in losses until it was sold to French firm CMA CGM, which managed to turn it around into profitability after one year. Such instances have led to questions of whether Singapore is a true meritocracy of practical skills, or just a hierarchy of grades. However, we should not let such relatively isolated occurrences obscure the fact that Singapore society prizes practical results even more than academic ones. It is the nature of this microscopic, natural resource-starved island nation to be ultra-pragmatic, and Singaporeans know more than anyone else that practical outcomes matter more than any textbook treatise. The very fact that scholars such as Mr Kuek and Mr Ng faced fierce public criticism makes it clear that the country as a whole places practical competence above intellectual skills. When public housing prices soared beyond the reach of many in the first decade of the 21st century, the former minister in charge Mr Mah Bow Tan faced considerable public opprobrium – not too many were heard mentioning his impressive academic credentials or the fact that he was a President’s Scholar then. Singapore society is also evolving to accept and even embrace a wider diversity of talents and paths to success than the traditional yellow brick road of academic excellence leading to a good job in government or a large company. Today, partly thanks to government efforts, those who do well in everything from sports to arts to cooking are well respected. Thanks to the commercialisation of sport, skills such as swimming and football can be seen as very practical today, and swimmer Joseph Schooling, who won Singapore’s first ever Olympic gold medal, is now one of the most respected figures in the country. Chan Hong Meng, a humble hawker who received a Michelin Star for his $3 chicken rice and noodles, saw his achievement celebrated by virtually the whole country, who also cheered as he took his signature dishes to Manila and London, receiving worldwide acclaim. Certainly the likes of Hawker Chan, as he is fondly known, command greater esteem from society in this day and age than a person who has tremendous intellect but little practical success. This is all the more so as the traditional marker of intellectual skills – a college degree – becomes so common in Singapore as to become commoditized. In the 1980s, a mere 10 percent or less of the population held a bachelor’s degree or higher. Today close to half of those in their 20s and 30s have a degree, and the growth in professional, managerial and executive jobs has not kept up. As a result, graduate unemployment numbers have crept upwards and as mentioned earlier, a recent survey found that about a fifth of fresh graduates from even the highly rated state universities could not find a full-time job after six months. As Nominated Member of Parliament Kuik Shiao-yin articulated recently, what is important in today’s world is not just what degree one holds, but what one acquired from one’s degree programme – a personal network, knowledge, and yes, sharper skills. By that I assume she was referring to practical skills and not just intellectual ones. Increasingly Singapore society is coming to terms with the fact that the world is becoming more competitive, and few employers are going to give you a job merely for intellectual skills demonstrated in an exam. One must possess the aptitudes, know-how and problem-solving abilities needed to navigate an increasingly complex, volatile and interconnected world. In sum, I stand by my stance that practical capabilities are at least as high a priority in Singapore as intellectual, academic attainments. A close examination of the issue in this country reveals that the national preoccupation on academic scores is overshadowed by its fixation on pragmatic results – which are much more correlated to practical ability. If one adds to that the inflation of grades and academic credentials, and the widening of the forms of achievement recognised by society, an inexorable trend towards increased emphasis on real-life skills becomes clear. After the euphoria or disappointment of an examination result ebbs, every Singaporean will be judged ultimately on what he or she accomplishes in the often inhospitable waters of real life. For this tiny island, practical success has always been not just a matter of glory, but of its very survival. Copyright 2018 Steven Ooi. All rights reserved. No part of this work is to be reproduced without the written consent of the author. 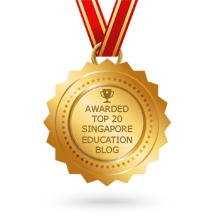 Website owner Steven Ooi, a First Class Honours grad from NUS, retired from a distinguished 14-year career as an English and GP tutor in 2016. He continues to blog on issues of concern to GP and student life. To view tutors recommended by him, click here. More GP model essays here. English or General Paper tutors keen to be listed on this website (consistently ranked top 10-15 on Google) as a Recommended Tutor, please email stevenooi18 @ yahoo.com (remove the spaces). Tutors in other subjects interested in having links to their website are also welcome to contact him. This entry was posted in Argumentative essays, English essays, gp model essays, Model essays and tagged english tutor singapore, good gp tutor singapore, gp model essay, gp tuition singapore, sample argumentative essays. Bookmark the permalink.